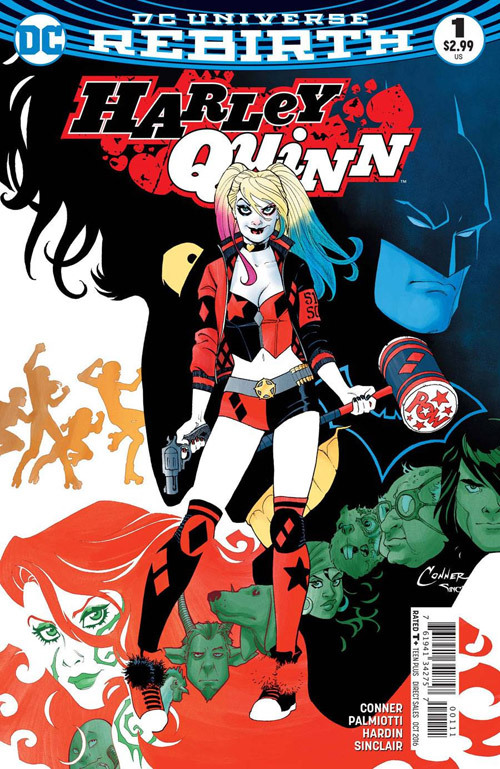 No surprise here, Harley Quinn # 1 by Jimmy Palmiotti, Amanda Conner and Chad Hardin has landed at the top spot for the top 100 comics of August 2016. Please note that comics marked with an asterisk (*) have had their reported quantities reduced due to retailer returnability, and thus may rank lower on the charts than their actual sales would reflect. Finally, Brian Wood and Mack Chater’s Briggs Land #1, a new series about anti-government extremists in the American west in development as a television series for AMC, was Dark Horse Comics’ top book for August at #127. I love Marvel but DC has gotten a lot of great quality products as of late. I mean, I love Superman and Detective Comics was compelling enough. Sales often dictates how things are going to be, in this case out of the top 10 sellers for August, only one title from Marvel Comics made it and its not even an Avengers book; its an Amazing Spider-Man issue no less. Usual top-seller, The Walking Dead has also been ousted from the top 10 but this is usually the case when there’s no TWD episodes coming out. Expect this to change the month they premiere the next season of The Walking Dead.